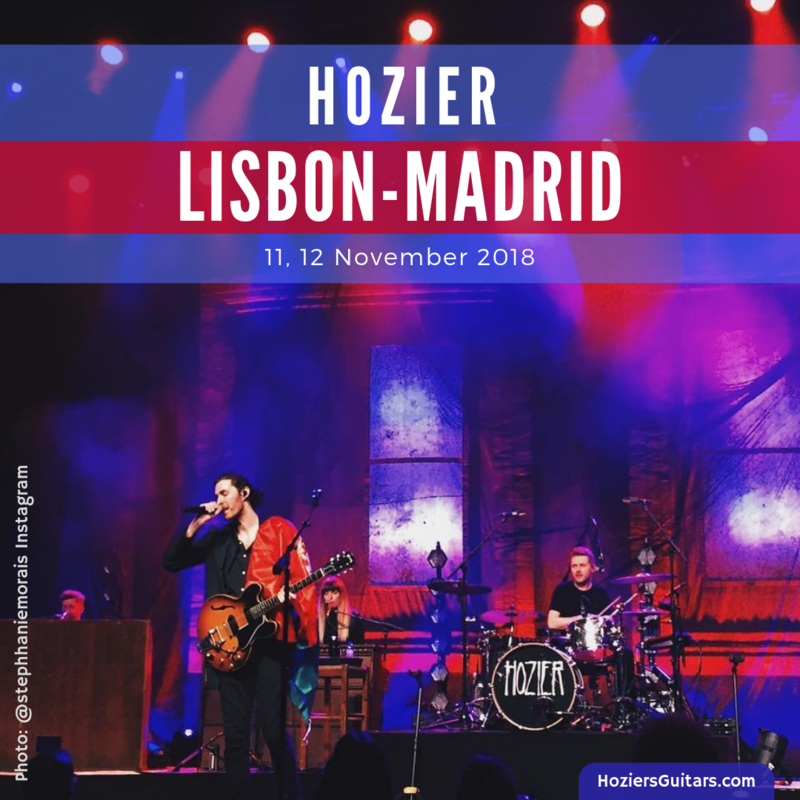 Hozier’s Europe 2018 Tour started in Lisbon and Madrid. Suzanne Santo will be the opening act for most of this tour, doing double duty by leading her own band in addition to performing with Hozier. Her album, Ruby Red, can be purchased here. Here are the highlights from Portugal and Spain. Links in the venue names and text have more photos and videos. 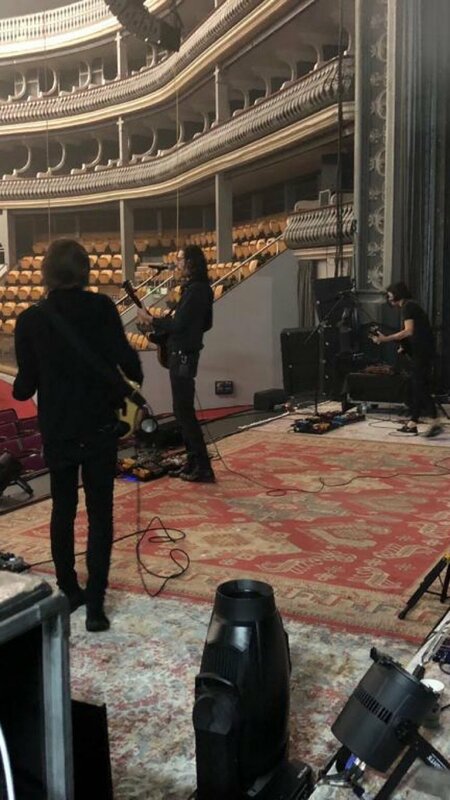 Hozier spent a portion of soundcheck showing off the beautiful Coliseum. 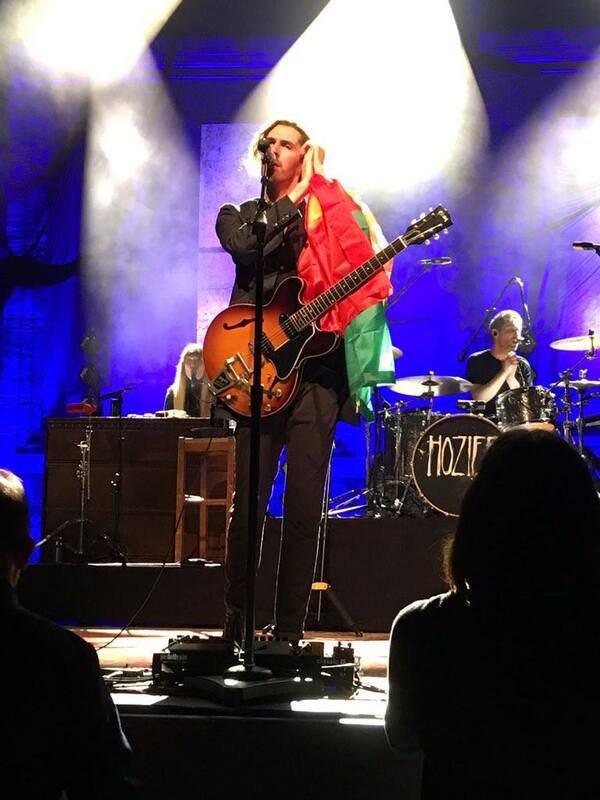 Hozier played the encore draped in the flag of Portugal. Additional photos available from Arte Sonora, Noite e Música Magazine, and Nuno Conceicao. Additional photos available from MyiPop, Live Nation Espana. Had an amazing time playing at @LaRivieraSala the other evening. What a crowd. Thank you to everyone who came and saw the show in Madrid. Gracias! Featured image: Photo: @stephhaniemorais. Graphic: Hozier’s Guitars. Tagged Coliseu dos Recreios, Coliseum, La Riviera, Lisboa, Lisbon, madrid, Portugal, Santo, Spain, Suzanne Santo. Bookmark the permalink.